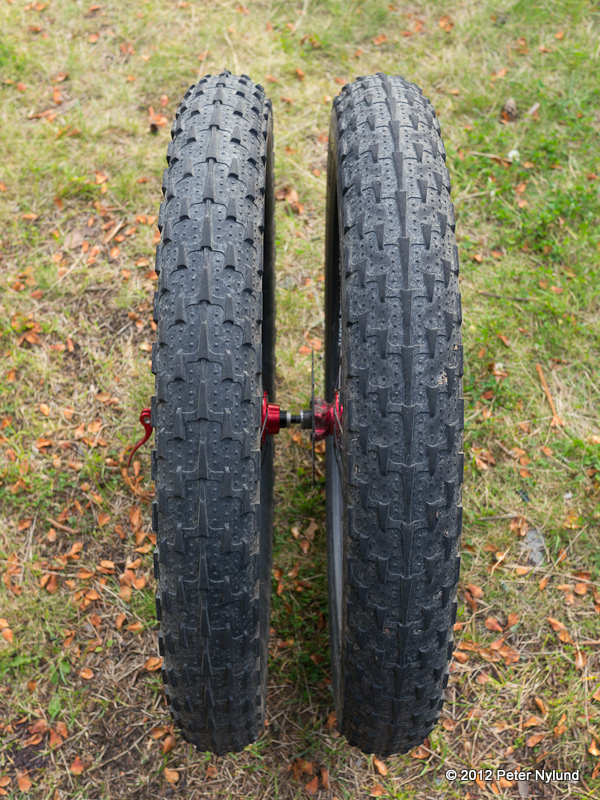 One of the criteria when choosing a new fatbike was the ability to fit a lighter summer wheel set for ordinary trail riding. My choice, the Salsa Mukluk, easily enabled that through its symmetrical 170 mm rear. I knew what kind of summer wheels I wanted, but it took until now to get the Hope fat bike hubs to Foxcomp. I can't complain about the speed of service, though. Tommi started building the wheels immediately when the hubs arrived and they were ready the same day. 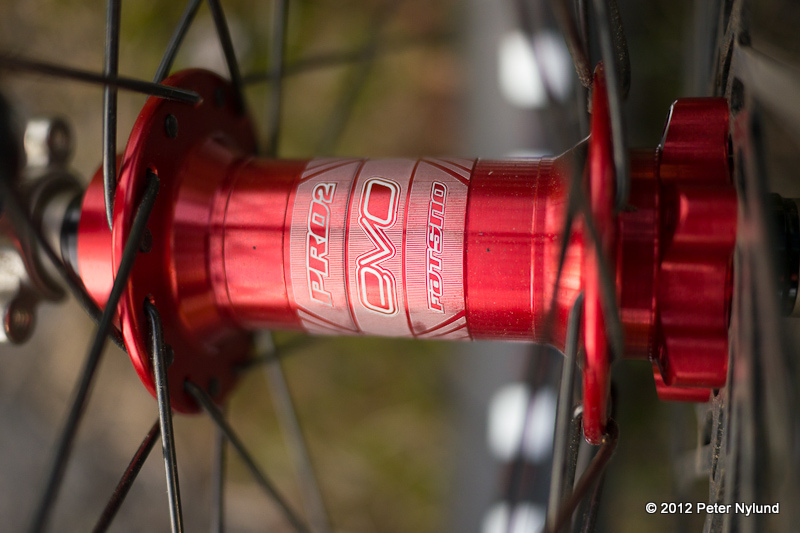 Hope Fatsno Pro 2 Evo hubs (170 / 135 mm), DT Competition spokes and TrialTech Real SL rims (47 mm wide). To the left a summer wheel (TrialTech Real SL 47 mm rim) and to the right a winter wheel (Surly Rolling Darryl 82 mm rim). The tires are around 10 mm narrower with these rims and the profile is more round. 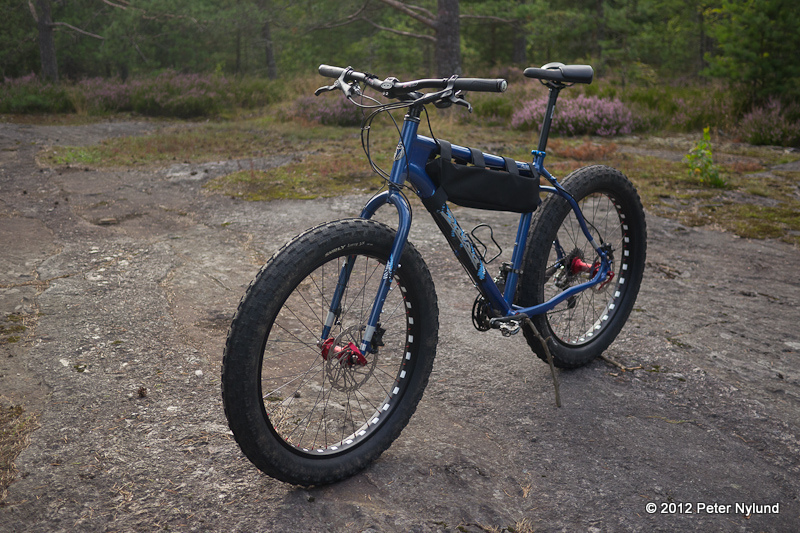 The height seems to be the same, though, and when riding I didn't notice that the low BB of the Mukluk would have felt any lower. 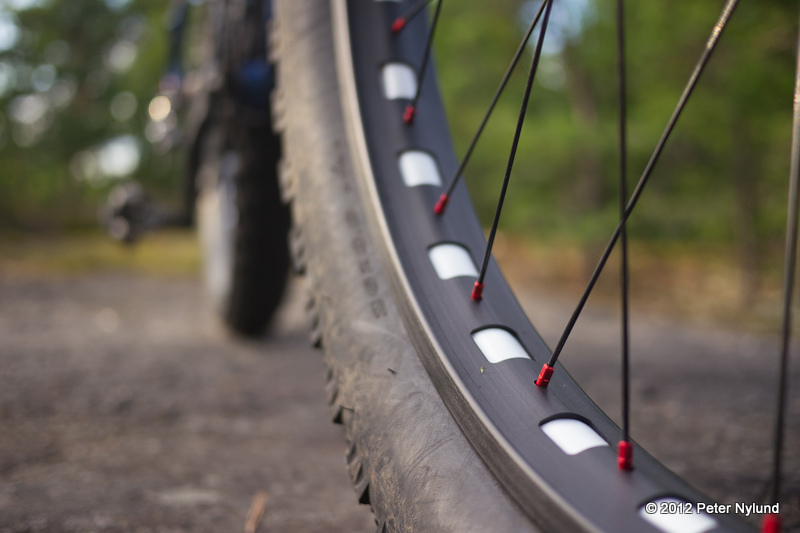 The rolling resistance seems lower and they should be a lot easier to get up to speed. The front wheel is 245 g lighter and the rear wheel 420 lighter. The rim is itself 250 g lighter, which is a good difference at the outer perimeter of the wheel. 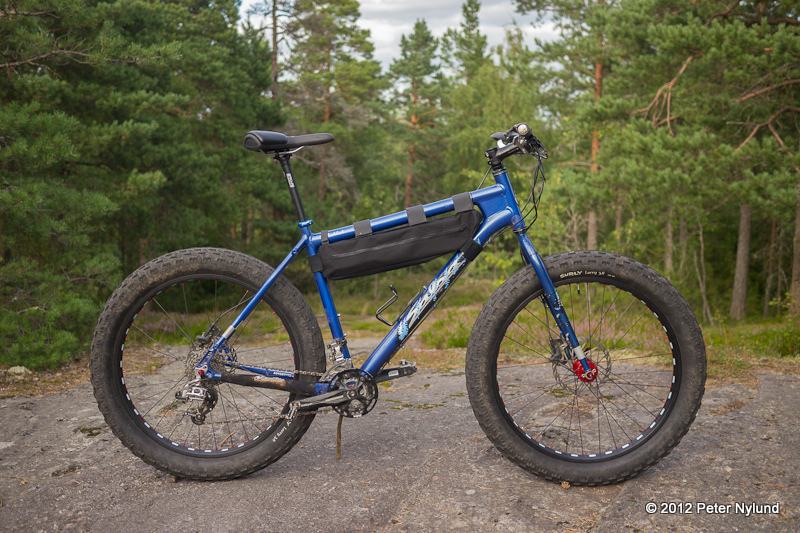 With the summer wheels the bike should weigh 14.3 kg without any extra bags and stuff mounted, which I think is quite ok for an XL sized geared fatbike without any weight weenie stuff. The first test rides indicate that the wheels work as they should.